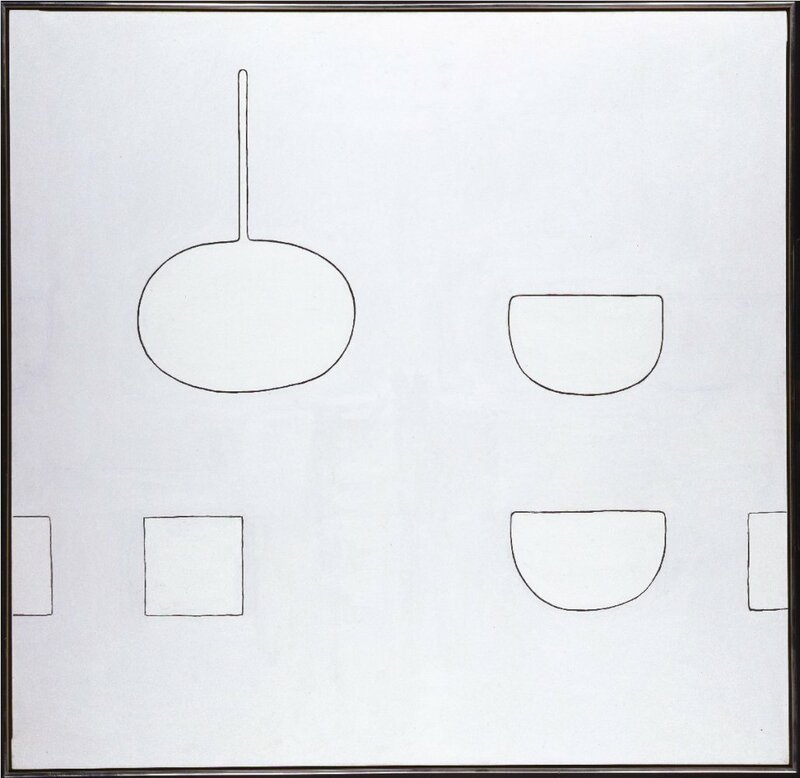 In the late 1960s Scott began to re-emphasise in his paintings and drawings the familiar kitchen objects, the pots and pans, that had been accommodated only as more abstract shapes during the earlier part of the decade. From this time on the distinction between abstraction and figuration was less emphasised in Scott's work. Schematised drawings of recognisable but extremely simplified objects were combined with more abstracted shapes in compositions of great refinement and clarity. 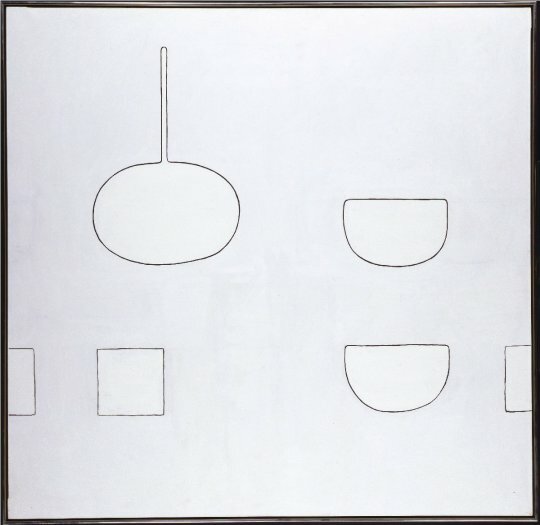 In the later large still lifes, as here, the spaces between the shapes, seen against a completely flat ground, are of particular importance.